This may sound like a very unconventional approach but rest assured that it offers excellent results. Offices of large companies usually hire trained window cleaning pros. But if you are a small team, this task may fall on your shoulders. So, to nail this job and keep the windows of your workplace clean and shiny for longer, apply a rain repellent product on after you wash them. You can get it from most hardware stores or through an online retailer. This product will not only prevent rain from leaving annoying spots all over the windows but it will even “repel” water providing you with a clear view even on a rainy day. Leather car interiors need to be conditioned with special products or with DIY options such as olive oil or Vaseline. If your office is filled with leather chairs, you can apply the latter two products on them. They will give the chairs an extra shine and prevent the leather from cracking. Remember, however, that you should only apply a very thin-layer otherwise you may end up messing up your work attire. One of the dirtiest spots in any office is the keyboard. That is not only because people generally forget to sanitise it but also because cleaning it is never easy. Many car owners use cotton swabs to wipe and clean the hard-to-reach places in the vehicle. Try cotton-swabbing your keyboard and you will be pleasantly surprised with the results. LED & LCD monitors are very delicate and not all cleaning products are suitable for them. And yet, they act like a powerful dust magnet. 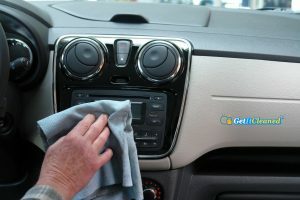 To solve this problem, you will need to borrow yet another car cleaning hack – the coffee filter. 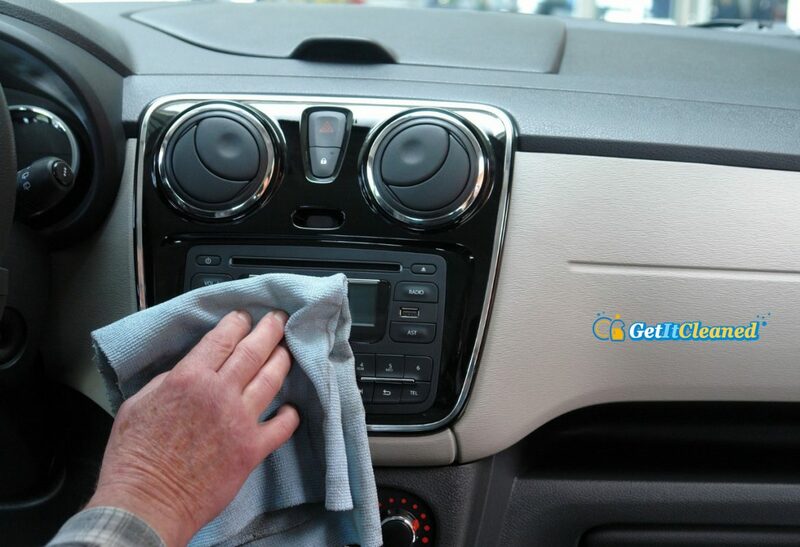 Vehicle interior also gets dusty fairly quickly and many people like to wipe it using a coffee filter. It is cheaper than a microfiber cloth and you can easily store a whole pack of them in your desk drawer. Plus, it works like magic even on computer screens. You packed an egg sandwich to have at the office for lunch but it turned into a stinky business. Now what? Using a perfume, deodorant or an air-freshener in an office environment is not always a wise idea because it only masks odours. Also, aggressive smells, even when they are pleasant and flowery, can be too heavy and hard to bear. Keep a car odour eliminator handy. It will remove bad odours in no time and so that you enjoy your sandwich in peace. For all other cleaning chores around the office, make sure you rely on a flexible office cleaning service in London such as that offered by Get It Cleaned.